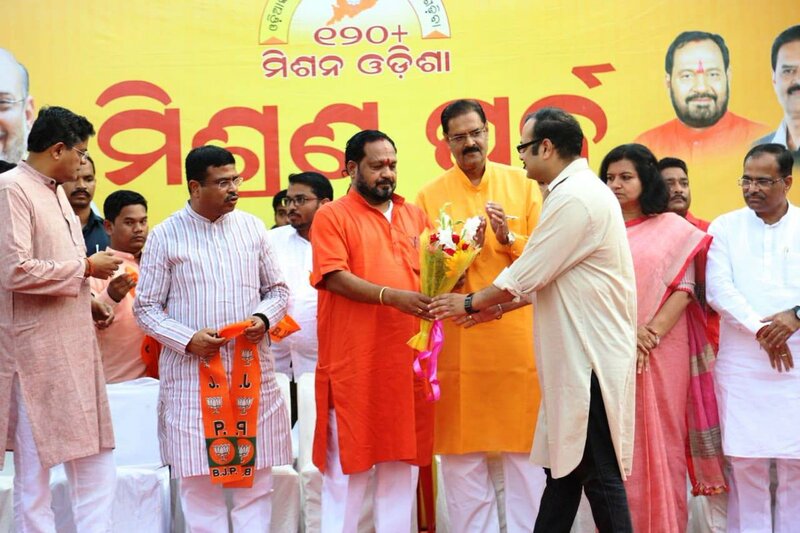 Bhubaneswar: BJD Rajya Sabha MP Prashanta Nanda’s son Rishav Nanda today joined BJP in here in presence of Union Minister Dharmendra Pradhan, BJP national vice president Jay Panda, party’s state unit chief Basant Panda and senior leader KV Singh Deo. Senior Congress leader Laxman Sahu also joined the saffron along with many of his supporters at a Misran Parva held at party headquarters here ahead of the Lok Sabha and Assembly elections in the State starting April 11. Welcoming the leaders to the party fold, Union Minister Pradhan said their joining will certainly strengthen the party.